Neoprene Hot or Cold therapy wrap from Kitt Ltd. 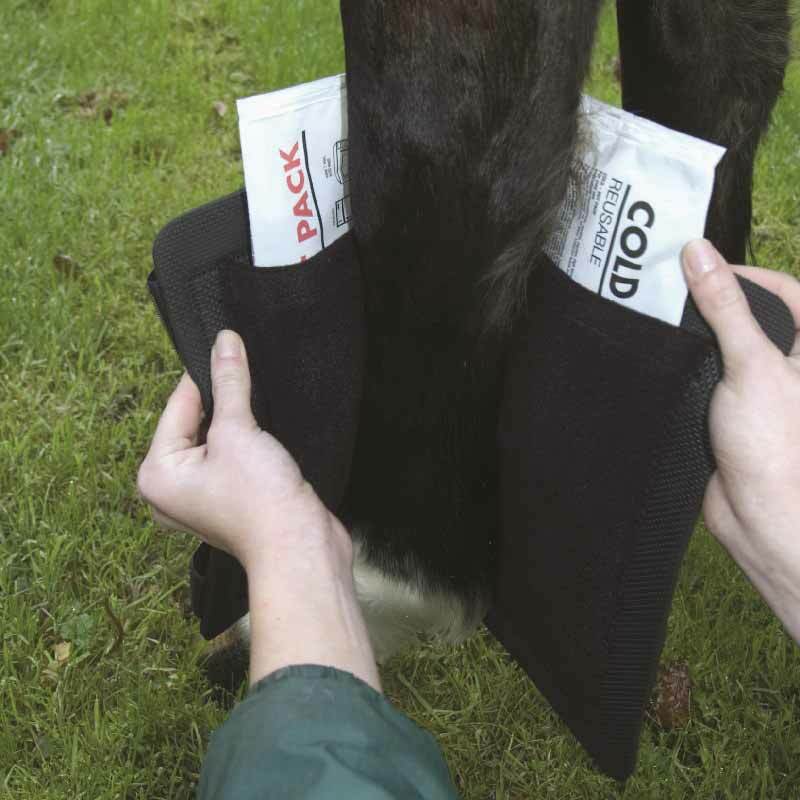 Designed to make hot and cold treatment of your horse simple and more effective. The neoprene pockets hold the packs in place without causing excessive pressure. 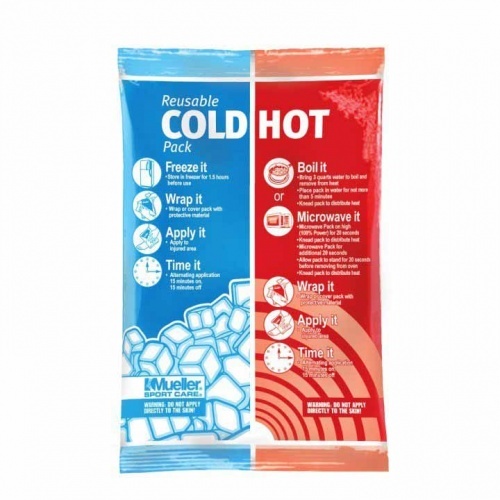 The 2 reusable Mueller packs included in wrap purchase can be used hot (microwave) or cold (we recommend that you keep 1 pack in the freezer as it requires 1 - 2 hours freezing before use).